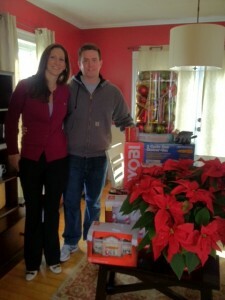 Meet the Dow’s, Gina and Phil, our selection for the Home Depot’s Foundation GiveGood Campaign. It was so hard to pick just one family in need. Our wounded warriors and disabled veterans are quiet about their experiences and what they have seen. Although the Dow’s submission and story was short, we felt a strong connection to their story. Phil Dow is a disabled veteran who served two tours in Iraq with the US Army. During his combat service Phil, an Army tanker, earned a Bronze Star, Purple Heart, Army Commendation Medal and other awards. Phil was injured from a vehicle bomb in Iraq and had multiple surgeries and recovered at Walter Reed Army Medical Center. Despite all that he has been through he considers it a great honor to serve our country. Phil has since been discharged from active duty, but continues his commitment to our military by serving in the Massachusetts National Guard. The Dow’s now have three small children and could use some help converting their expensive oil heating system to gas, or replacing old, drafty windows or vinyl siding that is in disrepair. Our selected military family will now be entered for a chance to have Home Depot fulfill their “Wish List” of home improvements up to a retail value of $20,000. 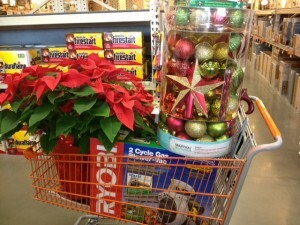 We delivered $250 of Home Depot holiday decorations and a leaf blower last Saturday. We are in New England home to one of the most beautiful places for fall foliage. That is also code for A LOT of leaves fall here. We then presented them with a $250 gift card to towards a snow thrower or other needed item(s). 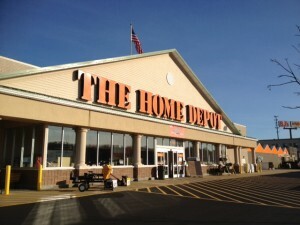 The Home Depot store in our neighborhood where we shopped for the Dow family. Thank you Home Depot Foundation for all you do to support military families! 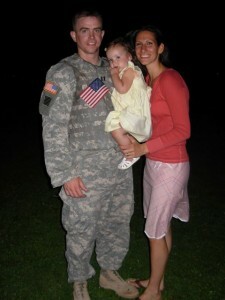 Another thank you to MilitaryAvenue.com our partner in finding a military family in the New England area.